Marly Mathews: Review for The Witch and the Wolf! Review for The Witch and the Wolf! 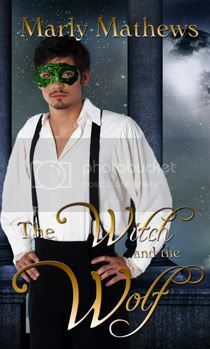 JT at Romance Junkies reviewed The Witch and the Wolf! Here's a snippet of her review and a link to read the review in its entirety. "In setting the tale during the perilous era of the late 1700s, Marly Mathews interweaves non stop suspense and action into her captivating historical romance." Wow! Do reviews come any better than that? Marly, you must be happy dancing all around town! I know I would be. PNR reviewed The Witch and the Wolf!!! NCP Spring Scavenger Hunt, How to Play! Journey's End is now FOR SALE!